A Lesson in Flexibility—Work on the education building is coming along very well, except for one thing…Our guys and gals are too good. We use the lumber as fast as it comes in. Rick Ross, Bill Comes, Lee Owen, Keith Stone and John Bowser continue working on framing the first and second floors. Dave Wozniak, Brad Lindsay, Dan Hiers, Renee Dallas, Stephen Kertesz, Verl Luse and a few Chilean friends work on building the ceiling/floor truces for the second floor. Tom Loudenslager and Mark Kromeke continue welding the steel C Channels in place around the first floor kitchen firewall. Sandy Pilliod, Laurenn Trickett, and Michelle McCauley have been assisting Holly Gutek with the chop saw and delivering the materials as fast as the rest use them. Our Chilean lumber company cannot believe how fast we use the wood and thus needed some time to adjust to our speed. Praise God we have had no injuries; however, the BIG HAMMER award has been handed out several times for, shall we say, imaginative (or stupid) happenings on the job site. So far the recipients include: Holly Gutek (first), Verl Luse, and Bill Comes). A Lesson in Listening to the Holy Spirit—Last night we spent time with more of the girls during Vacation Bible School. We sang songs in English and Spanish and the girls seem particularly keen to “Open the Eyes of My Heart.” We ate dinner with the girls and shared the gospel with them thru the making of the salvation bracelets that tell the story of Jesus Christ. A team member was able to share his testimony with one of the older girls, Michelle, who said she did not believe in God and given her life thus far she didn’t have a reason to believe in a compassionate God. Yet by the prompting of the Spirit, this team member continued to speak with Michelle. She accepted Christ that night and God released her of the demonic depression that had consumed her life. Please keep praying for Michelle and her new walk with the Lord. A Lesson in Communication—So 5 North Americans walk into a grocery store…can you guess what happens next? When in Chile, it’s important to speak as the Chilean’s do. But when you only know “Hello” and “What’s Up?”, and repeating in the hopes that they will suddenly be enlightened to the English language just isn’t working, what are you supposed to do? If you’re Tom Orme, language is not a barrier. His theory, spot the Chilean with a Miami, Florida t-shirt and recruit him to grocery shop for you! Or if you’re Jennifer Imes, try to speak the language and find yourself surrounded by 4 store clerks and the security guard all staring strangely at why one would need 5 kilos of liquid hand soap. Every few days our cooks (Jane Imes and Sherry Kertesz) along with Tom and 2 other helpers (thus far Holly Gutek, Renee Dallas, and Jennifer Imes) must buy enough groceries to feed 25 people for breakfast, about 35 for lunch and somewhere between 30 and 75 people for dinner (depending on if the girls are eating with us that night). That’s a lot of groceries!! Chile has wonderful grocery stores, Lider and Jumbo. Now their grocery stores aren’t farm market shanties, but supersized WallMarts full of anything we want. Chile is very modern, so finding anything from 30 pounds of construction glue to PowerBars is very easy apart from the Spanish labels. We typically overflow 4-5 grocery carts with such things as water, juice, soap, 40 pounds of hamburger meat, and lots of ICE. Each time we never know how Tom manages to find his way back to La Pintana or what new ways of communication we’ll have to try. Either way, it’s an adventure! Continue to pray for us, the building, and the girls. 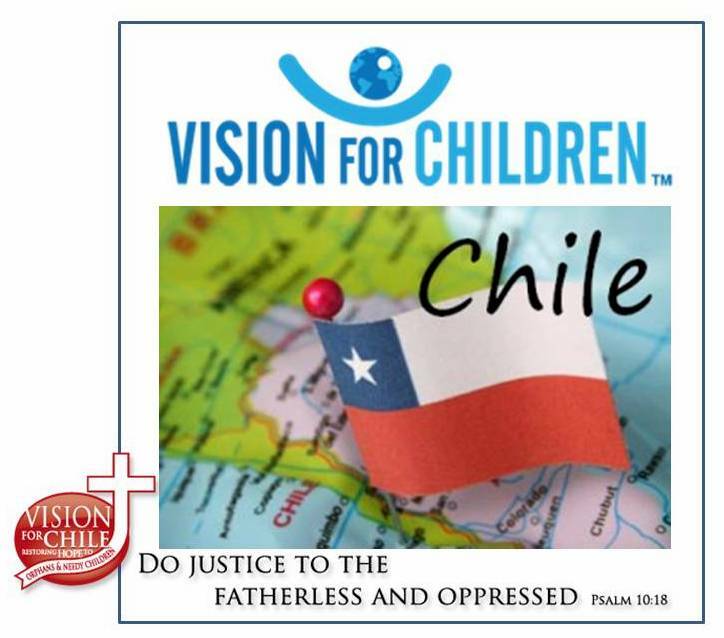 Previous Post Bienvenida to our first Vision for Chile 2005 On-Site update!